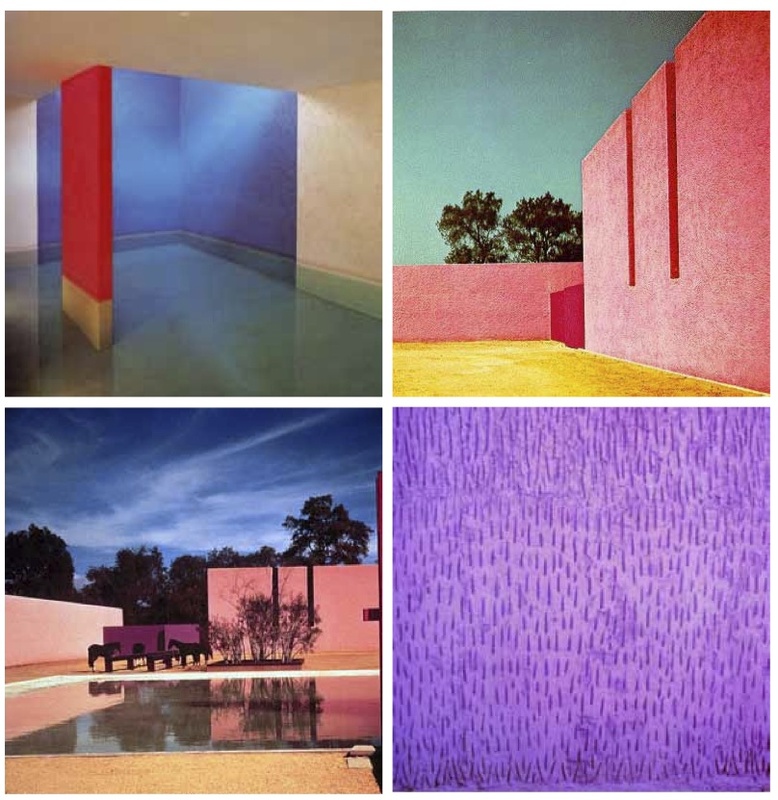 Architect Luis Barragan (1902 – 1988) was not afraid of color. 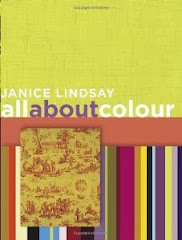 In fact he liked color in huge expanses and interesting patterns, all juxtaposed with shifting angles and light. 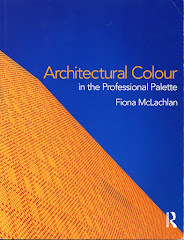 He was a man of magenta and cobalt blue, adobe walls, lattices of warm summer yellow, sunset pink alcoves, all on a grand architectural scale. His vivid sensuous color, space and utilization of light was a bold mix of Mexican and European style born of his well traveled life. 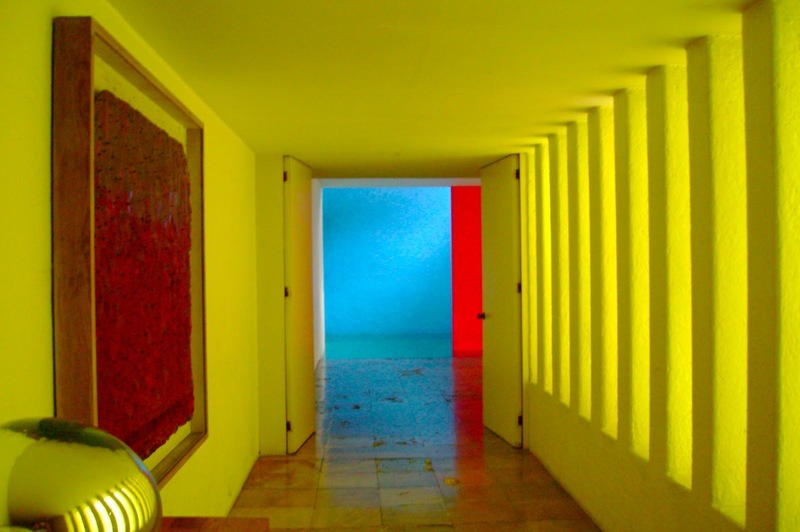 Much like his color, Barragan was a complex man influenced by his friends, family, his education, travels, and spirituality. 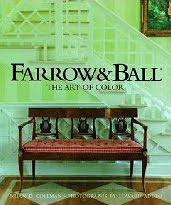 Baragan’s parents were wealthy Mexican aristocrats. He grew up riding horses on a sprawling ranch in Michoacan, a region known for its vernacular architecture. Barragan attended the Escuela Libre de Ingenieros and in 1923 earned his degree in engineering. Upon graduation he traveled for two years throughout Morocco, Spain and France. It was during these travels, experiencing a new world abroad, that a spark for architecture really took hold of him. When he returned to Guadalajara in 1927 he arranged commissions to build several large apartment buildings and a dozen Moroccan-influenced private residences in downtown Guadalajara. In his early commissions he mixed the styles from abroad into his native mexican architecture and used color timidly assigning it to minor elements; lattice screens, balustrades, and doors. His palette was dominantly blue, white and red. But upon his return from Europe in 1930, where he met with exiled Mexican political muralist Jose Clement Orozco, Swiss born architect Le Corbusier and French landscape architect Ferdinand Bac, his practice began to bloom. These introductions made a powerful impression on Barragan. From Orozco, he experienced the power of dramatic color on a large scale. From Le Corbusier he learned about the modernist style, and the concepts of the house as a machine. From Bac, he was exposed to the art of landscape and the ideas that gardens should be enchanted places for meditation. With the help of these contemporaries, by the early 1940’s Barragan had crafted his personal definition of Mexican International Style. It was a blending of the foreign with the familiar. He would not sacrifice beauty for functionalism. He refused to subscribe to the idea of “the house as a machine”. He would design “emotional architecture,” places where people could feel and think. He would use pre industrial materials like adobe and wood timbers from Mexico’s vernacular architecture and integrate sensuous colors into his designs to give dimension to space and add "a touch of magic." Barragan was married twice and had passionate and intense relationships throughout his life, but preferred to live alone. He did not fear isolation. “Only in intimate communion with solitude may man find himself. Solitude is good company and my architecture is not for those who fear or shun it.” With his monumental walls, he would close the buildings outer boundaries, and open up everything inside with form and careful placement of color. One cannot observe Barragan’s work without appreciating his reverence for the mystery and power of color to elevate the human experience. “Serenity is the great and true antidote against anguish and fear, and today, more than ever, it is the architect’s duty to make of it a permanent guest in the home, no matter how sumptuous or how humble. 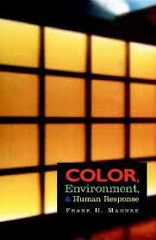 Throughout my work I have always strived to achieve serenity, but one must be on guard not to destroy it by the use of an indiscriminate palette.” To him the colors were more than just another design element in the building process. 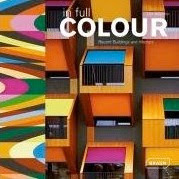 He took color seriously, and he wanted his buildings to take it seriously too. 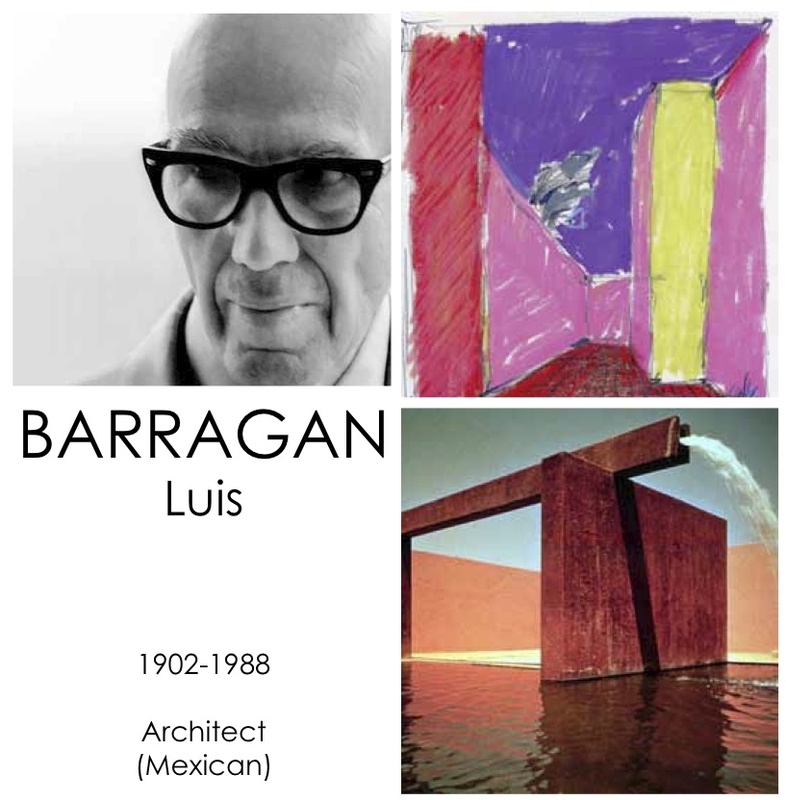 But for all this accomplishment Barragan's work went mostly unrecognized until, at age 74, Barragan went from obscurity to celebrity when the Metropolitan Museum of Art in New York honored him with a retrospective in 1976. 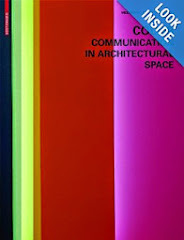 Four years later he received the prestigious Pritzker Prize, architectures equivalent of the Nobel Prize. 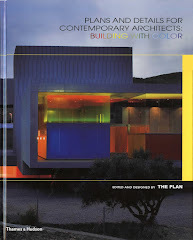 Well deserved for a man who not only brought color back in the forefront of architectural concerns but also help define modern Mexico, a place new and thriving and deeply connected to its roots. Wonderful post. Such an interesting man. I'm inspired to learn more about him! This person is an interesting man it was such a nice story thanks for posting.